Posted on August 19, 2014 by Anmol K.
Author Lois Lowry does an amazing job in the unique, science-fiction novel The Giver. 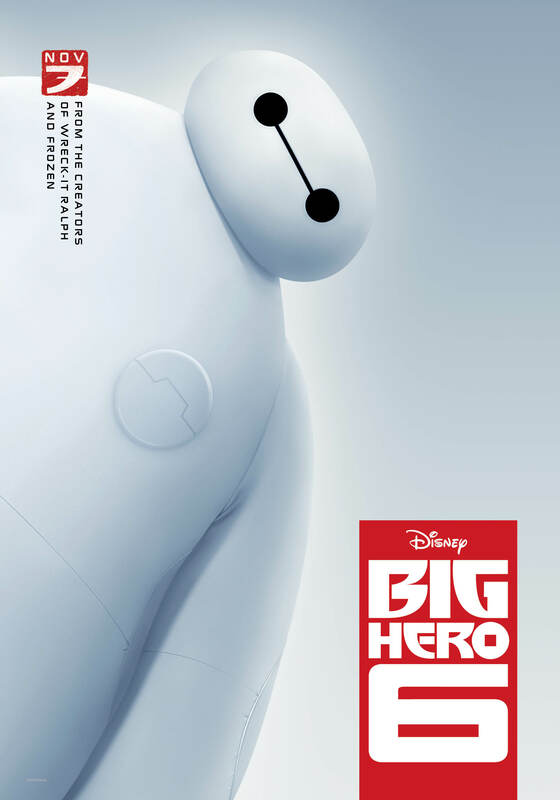 The highly-anticipated movie adaptation just released on August 15. Have you seen it? When Jonas spends more & more time with the Giver, he learns the power of wisdom. Even though the people in his community have been shielded from life’s many problems, Jonas realizes that they do not know about the things that give life meaning such as sunshine, color, music, and love. Becoming wiser everyday, Jonas doesn’t want to bear all the memories, both joyful and painful, by himself. He wants to share the many freedoms with his community, even if it means disrupting the safe, current life of innocence and order. Together the Giver and Jonas formulate a plan that will have instant, severe outcome on the entire community, especially on Jonas himself. Jonas, portrayed by Brenton Thwaites in the movie, is naïve in the story and I like how he matures during the course of the story. One main reason I liked this book is that it is unlike other dystopian novels I have read. The Giver is one of the books that I have read over and over again because it is so well written. 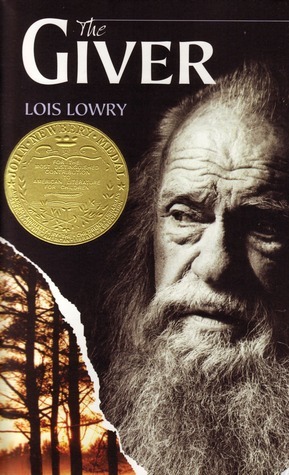 This is truly Lois Lowry’s masterpiece and in my opinion she totally deserves the John Newbery Award for it. 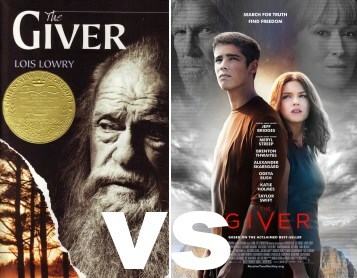 The ending of The Giver was not the best, but I have not read all the books in the Giver Quartet. It might make more sense in the latter books. I am especially excited to see the movie because I loved the book. It’s been hard waiting for the movie to be released, but I am going to see it for sure. Posted on May 12, 2014 by Rachel L.
The night Divergent was released, I was there, excited and anxious with anticipation.. 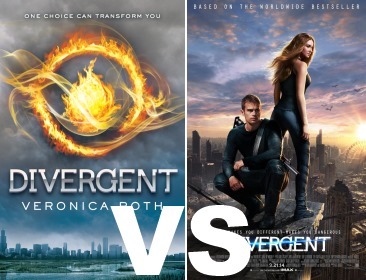 I went in with high expectations, as I have been in love with the book series since it was first released in 2011. So perhaps it was my unrealistically high expectations of a book that I am thoroughly devoted to and invested in that contributed to the fact that I thought the movie was a big disappointment. People who I have talked to that did not read the book first before watching the movie have told me that they thought it was great, and maybe if I’d never read the books before watching the movie, I would have felt the same way. Let’s start with how startlingly different it was from the book. I know book to movie adaptions are difficult to accomplish, but in this case it was significantly different. First off, they left out very important scenes from the book- scenes that are pivotal and important for the rest of the series. They also changed scenes– and not little scenes. Major scenes that, too, would affect the whole series. -Edward. He barely has a presence in the movie (I think his name shows up on the scoreboard for a second?) and there is no book scene where he gets stabbed in the eye by Peter. -Will and Cristina?!! It hardly shows their relationship, they’re pretty much portrayed just as friends, which is problematic, because in the books, it affects the plot and characters (especially Tris and Christina) in major way. -There’s no Visiting Day in the movie, and some important information is found out from that scene. In the book, Tris never meets her mom in the shipping yard. Posted on January 10, 2014 by Sarah B. 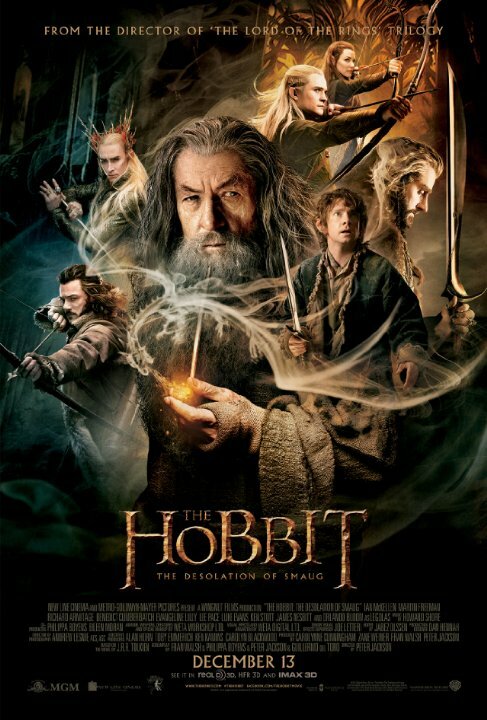 Last month, The Hobbit Part 2: The Desolation of Smaug was released into theaters. The movie was a continuation of An Unexpected Journey and set the stage for the next and final installment of The Hobbit trilogy. Since The Hobbit was such a short book but the film was split into a trilogy, much was added into the film that was not a part of the book. The movie begins with Thorin sitting in a pub and two bounty hunters attempting to kill him. They are however stopped by the presence of Gandalf. Gandalf convinces Thorin that he can reclaim the mountain but Thorin claims that the only way he can unite his company of dwarves is by regaining the Arkenstone which is guarded amongst others treasures by Smaug, the dragon under the mountain. Thorin and company journey to the mountain, however Gandalf leaves them to attend to more pressing matters. He senses a darkness that he discovers to be the Necromancer. He also finds that Necromancer has been leading the orcs. Meanwhile, Thorin and company make their way through the Mirkwood forest, where they are captured by giant spiders and later freed by Bilbo. The company is soon captured by elves. Legolas was added to the plot as well as a new elf, Tauriel. Tauriel is a “non-canon” character that is captain of the guard for the palace of Thranduil. It is revealed by Thranduil that Legolas has feelings for Tauriel but he forbids his son to marry someone of her status so he tells her to discourage his feelings for her. It is also revealed that Kili, the dwarf, falls for Tauriel. Bilbo avoids capture with aid of the ring and frees Thorin and company. They escape the palace in barrels but Kili is shot in the leg by an orc and is badly injured for the rest of the movie. Legolas and Tauriel leave the place to pursue the orcs. Once out of the palace grounds, Thorin and company seek assistance from Bard, another “non-canon” character who is a resident from Laketown and a descendent to the bowman that tried to take down Smaug long ago. Bard takes them to Laketown to get weapons and restore themselves in order to continue their journey. The dwarves promise to share the riches of the mountain with the residents of Laketown and they leave to get them. Kili is left behind because his injury is too deliberating and Fili and Bofur stay behind as well. Tauriel and Legolas reach Laketown just in time to save the town from orcs but Tauriel stays behind to heal Kili. Thorin and company finally reach the mountain and Bilbo is sent to reclaim the Arkenstone. Biblo retrieves the Arkenstone but does not tell Thorin out of fear of his corruption. They try and kill Smaug by drowning him in melted gold but he escapes and the movie ends with Smaug going to seek revenge on Laketown. 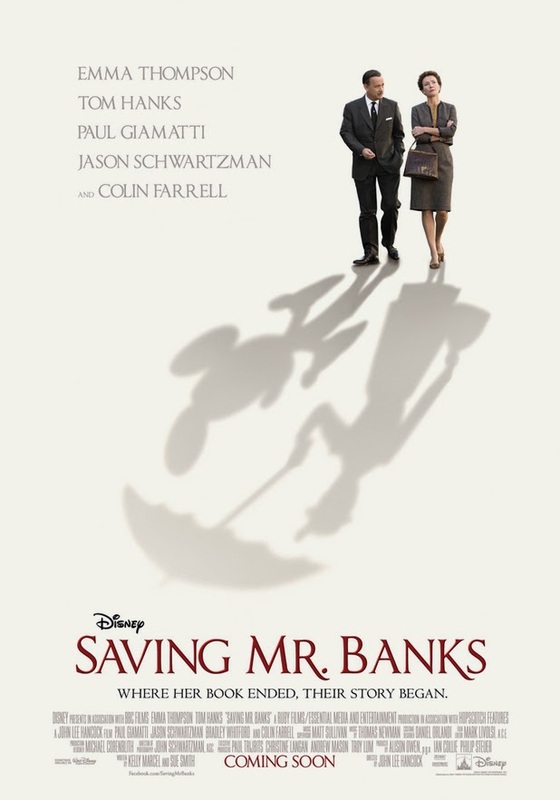 Posted on December 13, 2013 by Sarah B.
Disney has remade many classics fairy tales into movies. Their latest animated feature is based on Hans Christian Andersen’s story, “The Snow Queen.” Disney spun this tale into their newest movie, Frozen. In Andersen’s version, the story focuses on the relationships between two childhood friends, Kay and Gerda. In the story, trolls send an evil mirror down to Earth and it breaks into pieces and a piece of it lands in Kay’s heart which will turn his heart into a lump of ice. A piece also lands in his eye, making him aware of all of the world’s imperfections. A few nights later when it is snowing he sees the Snow Queen but she quickly fades away. The next day the Snow Queen steals him away and Gerda goes on a search to find him. The Snow Queen is made out to be the villain and Gerda, the hero. She finds Kay blue as ice and dying. Gerda’s cries and her hot tears melt the ice in his heart and Kay begins to cry, too, and the mirror comes out of his eye. The story ends when they go home and summer begins. 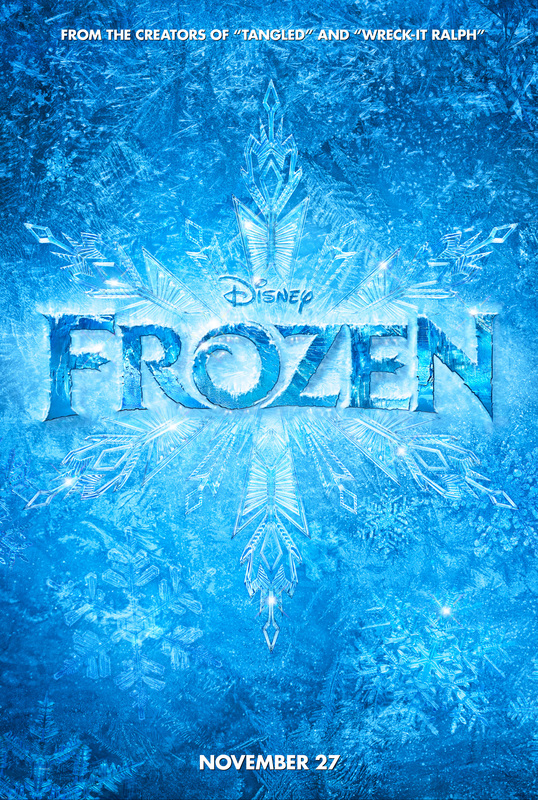 Disney’s adaptation, Frozen, is a much more emotional tale. It is a story of sisters, Anna and Elsa of Arendelle. The girls were best friends as children but Elsa had a secret: she had ice powers that she could not control. Once, when playing with Anna, she accidentally struck ice into her head. Their parents rushed her to the trolls and they wiped her memory of her sister’s powers and that saved her life. Elsa was from then on, forced to keep her distance from Anna to protect her. The two became estranged and enclosed. Their parents closed the gate to their castle to shelter their children. They soon after passed away, leaving Elsa to the throne. The castle is reopened for the first time in years for Elsa’s coronation. Elsa becomes nervous and accidentally reveals her powers in front of the kingdom and sets off an eternal winter. She runs away and Anna goes to find her. She tries to convince her sister to come home and bring summer back. They begin to argue and Elsa accidentally strikes Anna in the heart with ice and only an action of true love can save her. I personally preferred Disney’s rendition of “The Snow Queen.” The movie was heart warming and magical. It brought so much emotion into the story and gave it a depth that the original story lacked. It quickly became one of my favorite Disney movies. The animation and the soundtrack to the movie were phenomenal. The cast was flawless and the film was absolutely fantastic! I’d recommend everyone to see it!